December is here! 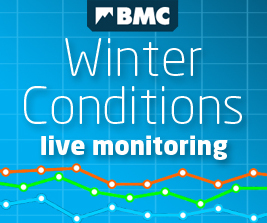 And with that comes the wintery and second instalment of the BMC Monthly News Show. Catch it now on YouTube. Last chance to enter and win a prize from our Festive Hamper! If you haven't bought a raffle ticket yet, you have until the end of tomorrow to be in with a shot at a £500 Montane voucher and heaps of other prizes. Are you a fiend for the details? You can stay in touch with the latest developments from the Organisational Development Group and ask your own questions on the dedicated minisite here. 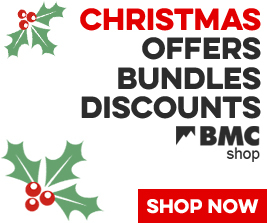 BMC Festive Hamper - 24 hours to go! This festive season, the BMC is offering you the chance to win something from our 'Hamper' - a massive raffle competition that is our largest gear giveaway ever. With over 150 individual items, 50 guaranteed winners and more than £2,500 worth of prizes, it's not one to be missed. Frances Bensley has repeated the boulder problem Fat Lip 8B at Raven Tor in Miller's Dale, a route first climbed by Steve McClure in 2007. 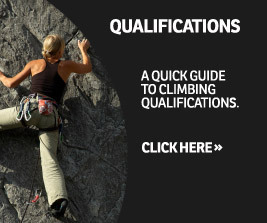 She is only the third British woman to climb the grade: the others were Shauna Coxsey and Mina Leslie-Wujastyk. Frances also redpointed her first 8b+ sport route this year, in Siurana. Does she have any tips for us, in general and for this route? Apparently it's all about wearing a particular climbing shoe on your right foot! The main points discussed by the BMC Board of Directors during the October meeting. Britons send around 800 million Christmas cards ever year. This year we are encouraging supporters to save paper and postage and donate towards Mend Our Mountains instead. Here's how you can get free digital cards to help us spread the word.